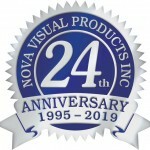 Christine Charron: Office Administrator, 17 years with Nova Visual Products. Call Nova Visual Products and not only will you get a live voice at the end of the line, most times that voice is coming from our Office Administrator Christine. Need to know when your order is arriving, need to schedule a service call, need a quick quote, Christine can assist. Guy Parent: Manager of Technical Services, integration systems designer, programmer, lead installer, 17 years with Nova Visual Products. Anyone who has dealt with Guy will attest to his professionalism and attention to detail is second to none in our industry. Dedicated and focused on delivering cost effective solutions, with proven technologies that work, Guy’s commitment ensures all projects get completed to your satisfaction. Dave Rothwell: Repair Technician-installer, 17 years with Nova Visual Products. After-sales service and repairs from Nova Visual Products are available because of Dave Rothwell. Offering repair and support services for all types of products, not just the ones we sell, or as an effective installer, Dave’s 30+ years of experience are invaluable to our clients, when deciding whether to replace or repair all makes and models of AV equipment. Joshua St Louis: Sales Representative, 10 years with Nova Visual Products. Josh got his first taste of the AV business as an installer with Nova in 2008, and began his sales career shortly there-after. Authorized to respond quickly to client’s requests, whether it be negotiating prices, offering better terms, advising ways to save money, delivering your orders, or even helping out with an install, Josh can assist. Mike Mitchener: Technician/Installer, new to Nova Visual in 2019. Mike offers a wide variety of technical abilities and is always pleasant and willing to go the extra step to ensure customer satisfaction. Kim St. Louis: Vice-President\Treasurer, owner of Nova Visual Products, Kim oversees all administrative and financial aspects at Nova Visual Products on a daily basis. 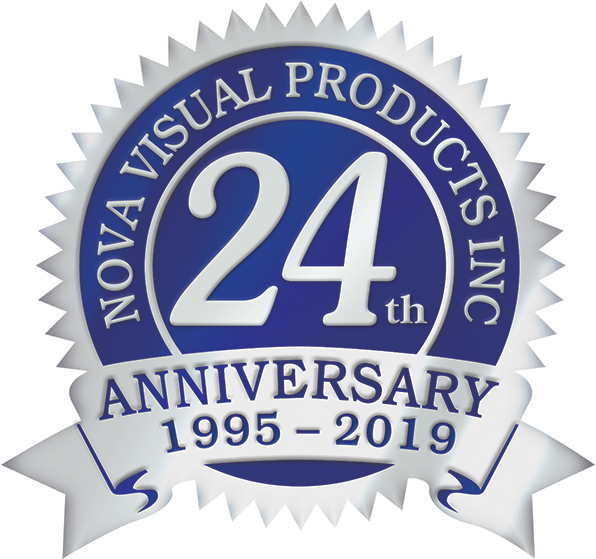 Mike St. Louis: President, and founder of Nova Visual Products, Mike has been in the AV industry since 1983 making him one of Ottawa’s longest serving sales representatives, a role he continues to enjoy on a daily basis at Nova Visual Products.